Stevie Nicks is a painting by Art which was uploaded on January 12th, 2010. Stephanie Lynn "Stevie" Nicks (born May 26, 1948) is an American singer-songwriter, best known for her work with Fleetwood Mac and an extensive solo career, which collectively have produced over forty Top 50 hits and sold over 140 million albums. She has been noted for her ethereal visual style and symbolic lyrics. 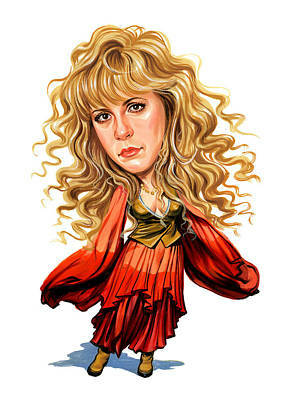 Nicks joined Fleetwood Mac on December 31, 1974, along with her then-boyfriend Lindsey Buckingham. Fleetwood Mac's second album after the incorporation of Nicks and Buckingham, 1977's Rumours, produced four US Top 10 singles (including Nicks's song "Dreams", which was the band's first and only US number one) and remained at No.1 on the American albums chart for 31 weeks, as well as reaching the top spot in various countries around the world. To date the album has sold over 40 million copies worldwide, making it the eighth highest selling album of all time. 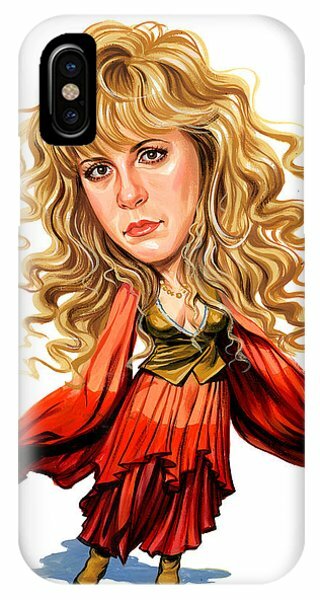 Nicks began her solo career in 1981 with the 8 million selling album Bella Donna, and she has produced six more solo studio albums to date. Her seventh solo studio album entitled In Your Dreams, and her first in ten years, was produced largely by Dave Stewart of Eurythmics fame and Glen Ballard and was released on May 3, 2011. After the release of her first solo album, Rolling Stone deemed her "The Reigning Queen of Rock and Roll". 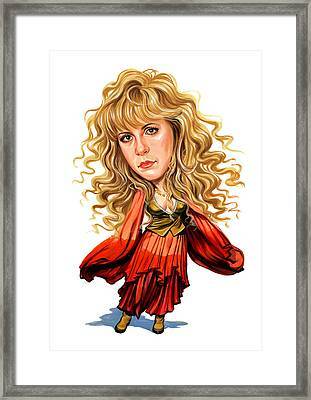 Having overcome cocaine addiction, and dependency on tranquilizers, Nicks remains a popular solo performer. 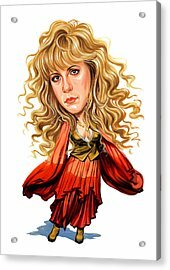 As a solo artist, she has garnered eight Grammy Award nominations and, with Fleetwood Mac, a further five, of which one was the 1978 award for Album of the Year for Rumours, which they won. As a member of Fleetwood Mac, she was inducted into the Rock and Roll Hall of Fame in 1998.